All Pendleton homes currently listed for sale in Pendleton as of 04/25/2019 are shown below. You can change the search criteria at any time by pressing the 'Change Search' button below. If you have any questions or you would like more information about any Pendleton homes for sale or other Pendleton real estate, please contact us and one of our knowledgeable Pendleton REALTORS® would be pleased to assist you. "Stunning views of the Blue Mountains above McKay Reservoir. 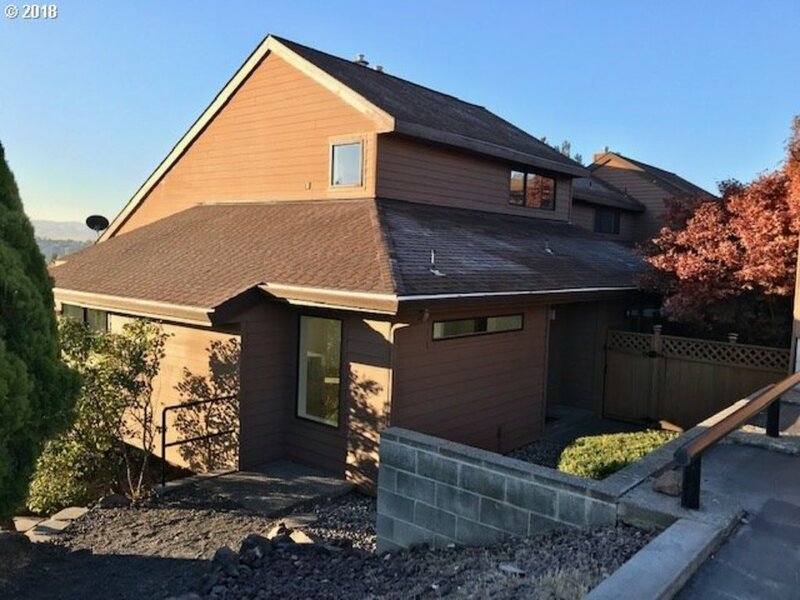 On 5.5 acres next to McKay Reservoir, this home offers 3876 sf(m/l) with 5 bedrooms, 3 baths, a 2 car garage, plus a 3 bay shop/detached garage. Enjoy this one of a kind location that offers unparalleled views to the East (shady/wind protected side) of the home. This home has been updated extensively over the last 6 to 7 years and offers magnificent views!" "Special Opportunity! 19.24 acres with a 2800 sf(m/l) Valley custom built manufactured home. Water rights, wheel sets, 5 bay shop, all in pristine condition and a superb location. There is nothing on the market like it. Too much to list here, see the attached disclosure sheets, or call your RE agent. Qualified and Pre- Approved buyers please. Must have 24-hour notice. This is a rare find in the Pendleton area." "RARE LOCATION, RICH IN QUALITY AND CRAFTSMANSHIP. Completely rebuilt farmhouse with great attention to detail. 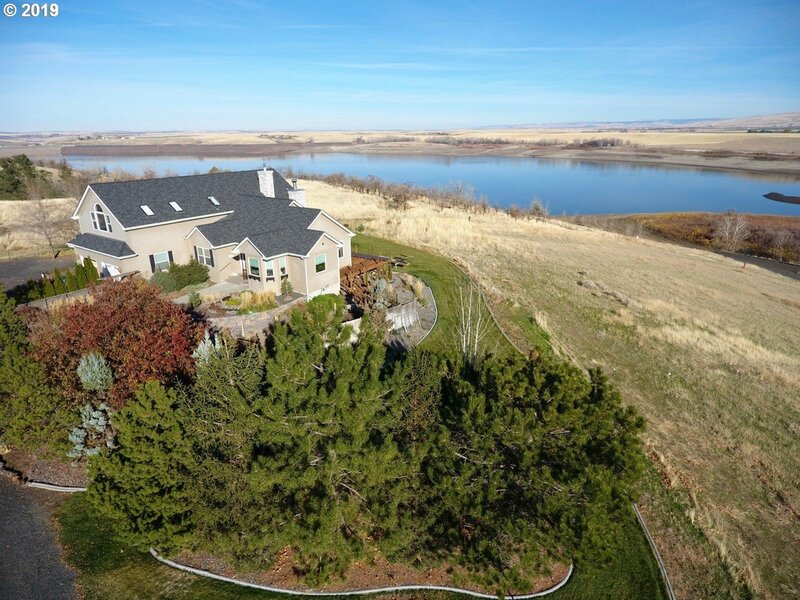 The home showcases the rural scenery of Eastern Oregon, located near I-84 between Pendleton and Stanfield. The open design focuses on the sunlight rich natural environment from the Chef's kitchen, to the wall of windows in office to the top floor master suite/retreat with coffee bar, bamboo cabinets, balcony, and sauna." "Residential & Investment! Package ONE features a 4 bdrm Executive home, sitting prominently on one acre, with a Spectacular Valley View, captured by walls of windows. Appreciate the expansive spaces, custom kitchen, Newer Roof, Hot Tub Deck & more! $25,000 Cosmetic Credit. Basement Apartment on Airbnb. Package TWO consists of a duplex & 3 pre-platted buildable lots. 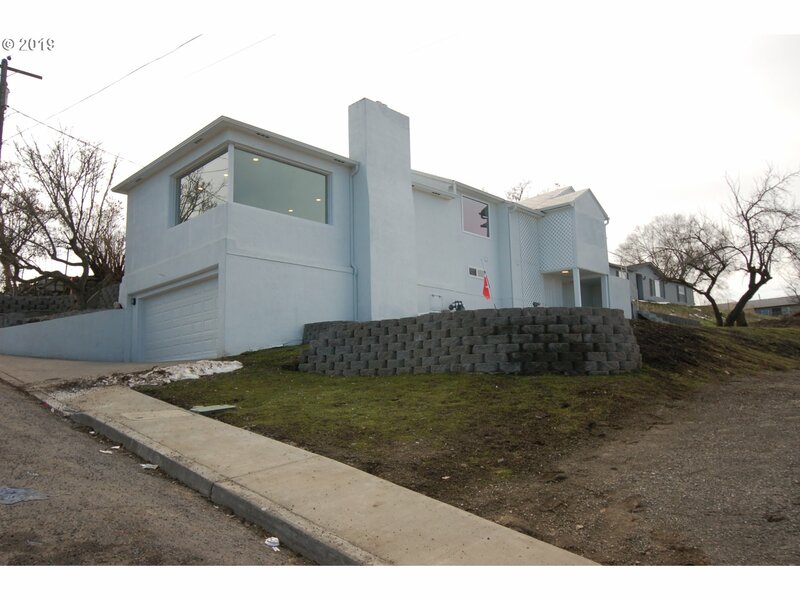 (MLS:19258278) $150,000 discount toward the purchase of both packages!" "Lake Drive/McKay Valley paradise. 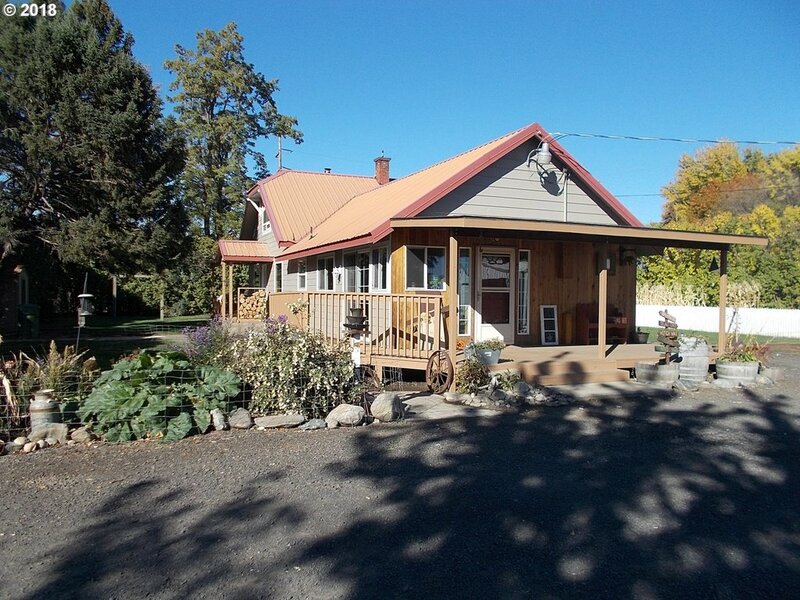 Wonderful 3 bed, 2.5 bath home with 1916 sf(m/l) on 3.14 acres that offers fantastic views of the McKay Creek area. Updated throughout, newer window, lifetime siding, vaulted living room, beautiful mature landscaping, water rights for the fenced pasture. Do not miss the mother in laws living space/bonus area. RV parking also. This home has all that you are looking for." "IMMACULATE CUSTOM HOME that's as comfortable as it is gorgeous! Top-notch finishes and smart design features abound throughout this close-in, country home with 3 bedrooms and 2.5 bathrooms. Oak hardwood floors along with heated rock & tile surfaces, soft-close cherry cabinets with roll-outs and lazy susan, master suite wired for surround sound, high-end skylights featuring sensors and remote control blinds, new carpet, and so much more!" "This darling farmhouse sits on 7 plus secluded acres. 3 bedroom, 2 bath with new floors. Great water rights with barn, shop,and detached garage. Won't last long!!!" 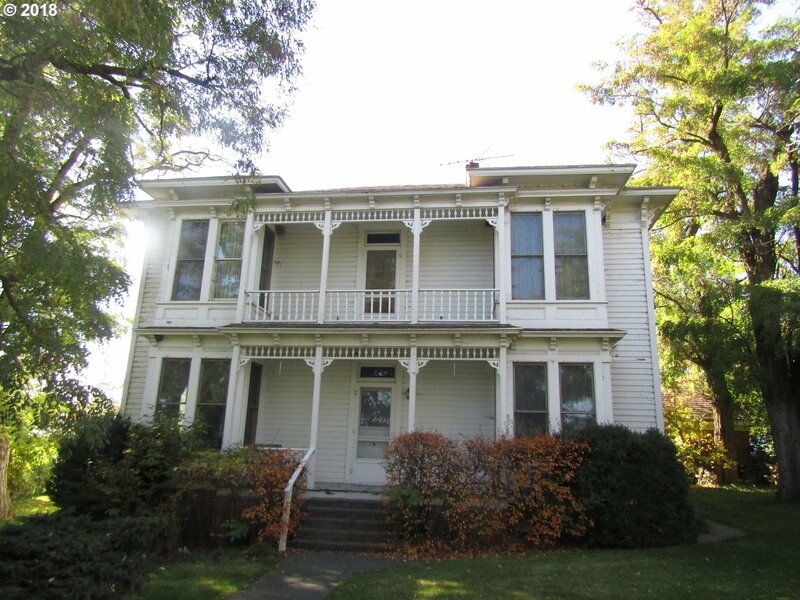 "Tons of potential in this old farm house, in a very private setting." "Beautiful rural home awaiting new owners! This home is a double wide manufacture home, on 5.25 acres! The home sits on 3.21 acres, and a second lot at 2.04 acres that is zoned for one more single family home! This property also includes RV hookups, and water rights thru Wildhorse Creek! Recent updates include new appliances, paint and a new roof in 2017!" "Completely rebuilt down to the studs. Totally new kitchen, flooring , living room, master bed and bath. Basement has a full bedroom, living room and kitchenette. 3rd bedroom on the upper level with a full bath. Lots of extra storage on both the upper and lower levels. This unit is located on the upper level of the complex and offers extra parking, quiet location and protected from the wind and afternoon sun. You have to see this unit." "Enjoy abundant space in this 1928 2 story bungalow located in a friendly neighborhood and close to downtown Pendleton. With nearly 5,000 square feet of living space, you will enjoy hardwood floors throughout, gas fireplace, amazing kitchen, quartz countertops, stainless steel appliances and much more! The finished attic has been converted to a master suite while the basement has a guest bedroom, full bath, & copious storage. Call Today!" "Stick built home, horse ready 4 acre mini ranch, appr. 4.6 mi. from town. 3 bed, 2 bath, 1800 sf(m/l) ranch home w/large front porch and screened in back porch. Lg. open kitchen/dining area, extra storage and counter space, Oak cabinets. Large master bedroom w/dbl closet. Certified wood stove. Metal roof, double pane windows. 4 car garage, w/approx. 1600'shop w/220. Barn w/tack room. Wood/storage shed, garden area, fruit trees." "Go clear to the top of North Hill for this beauty!!! 3 bedroom 2 bath with great updating thru out the home. Newer roof, siding, windows, and kitchen!! Views to be die for!!!" "Nestled on a Grecian Heights Culdesac, this one level, 3 bedroom, 2 bath, features picturesque scenic views from your spacious covered deck. Appreciate the convenient kitchen layout with sparkling granite counters, expansive island/bar, and a custom farm sink. Two living areas are separated by the dining space. The Master includes a walk in closet & ensuite bath. Professional Landscaping, UGS, Raised Beds, Shed, RV Parking, Call Today!" "North Hill family sized home with 4 bedrooms, 2 baths. 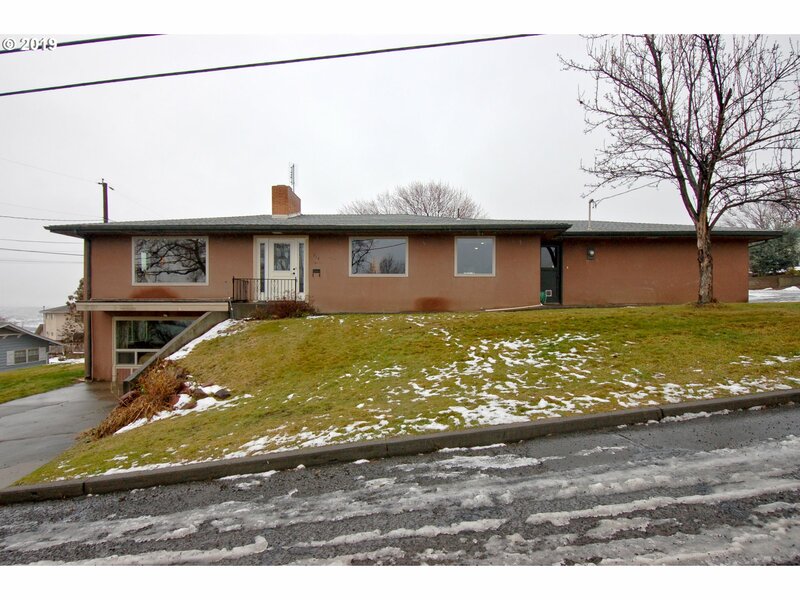 This home offers 2800 sf(m/l) with a fenced yard and a great view of the Umatilla River Valley to the West. Do not miss the new exterior/interior paint, remodeled kitchen with new counter tops, new cabinets, new tile and flooring, refinished hardwood floors. Lots of storage." 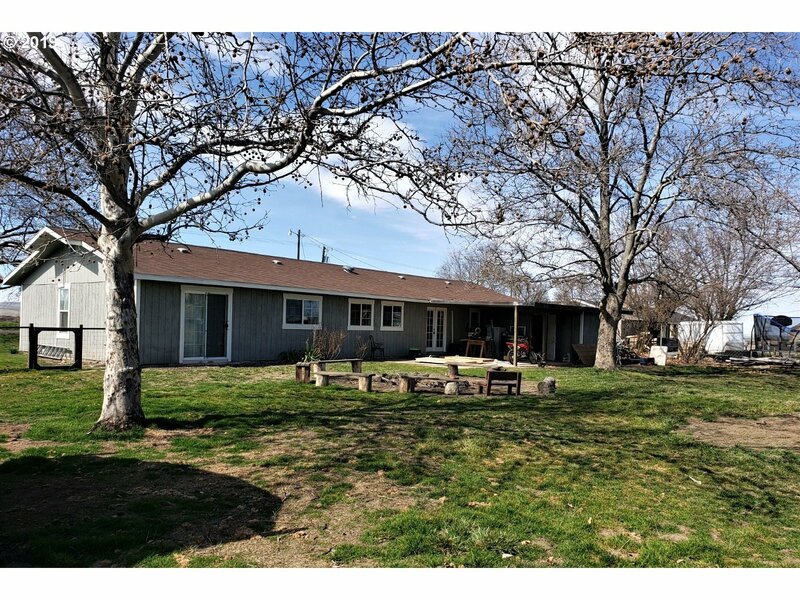 "4 Bedroom 2 bath home Conveniently located 5 miles South of Pendleton. Newly remodeled home on .41 acre. Western Charm throughout this beautiful home. Bring your family and live the country life. Close to McKay Reservior. Covered Patio. Outside Storage rooms. Lots of room for a shop with front and rear property road access. Exceptional opportunity." 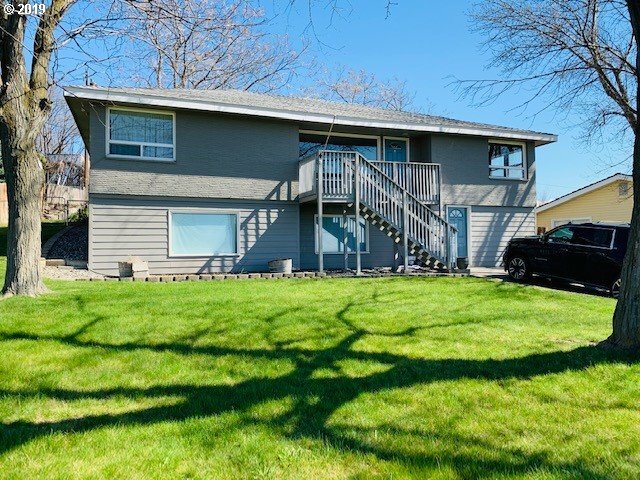 "This home is a beauty with many, many updates and great views! New kitchen and 2 new bathrooms. New flooring, interior paint. Newer gas fireplace. Full, finished daylight basement includes family room, big laundry room, huge storage room, 2 bonus rooms and small shop area. Great patio for entertaining." "Enjoy the views! 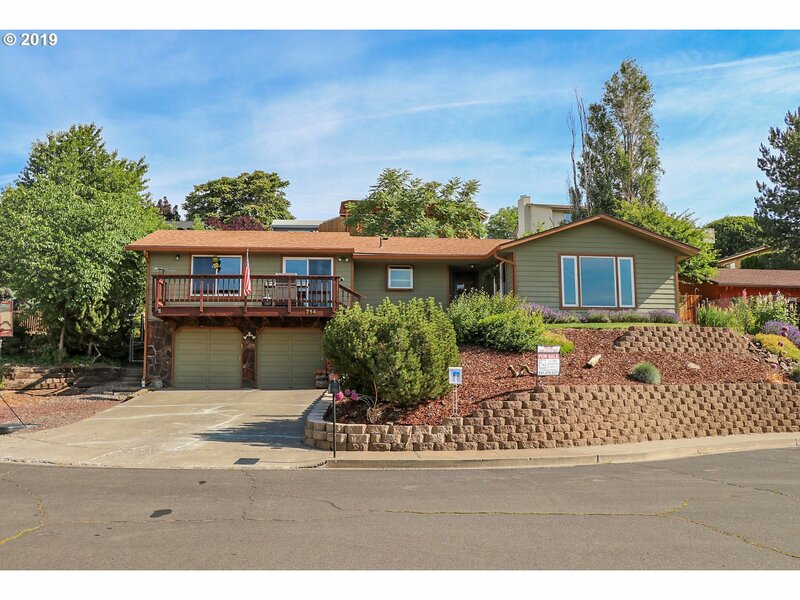 This North Hill home offers 3025 sf(m/l) on 2 levels with 4 bedrooms, and 2 baths. Hardwood floors, traditional fireplace, forced air heat and cool. Beautiful solarium in lower floor. Home has passive solar heating system that helps heat the home and cuts down on the heating bill. Native plant landscaping all around the home." "North Hill- over looking Aldrich Park. 3 bed, 3 bath home with 2056 sf(m/l), single car garage and a carport. All the bedrooms are on the main level, one is currently being used as an office. Two fireplaces with one in the basement family room, lots of storage. 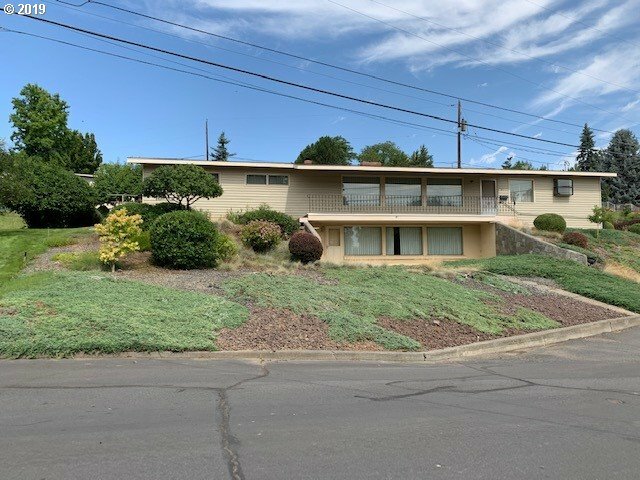 Sited on an oversized lot with room for a garden, this home is very well maintained and is ready to welcome the next owner." "Breathtaking corner home updated throughout. Newer furnace and an apartment down stairs with its own entrance and kitchen, great for a rental or multifamily home. Beautiful views from covered patio that's perfect for hosting family get together or parties. 5 bedroom, 2 bath, 2805 sq ft of a true must see home." "Seller says Sell! Original $319,999 - Now $249,900. Simply Spectacular describes this Luxurious Remodel, featuring stylish decor throughout. All New Electrical, Plumbing, HVAC, & Windows. The HGTV Kitchen & Baths sparkle with stone finishes. Appreciate Captivating City Views emerging from impressive corner windows, gleaming with natural light. The capacious master suite boasts WIC, and 1.5 baths.RV Parking, Putting Green! Call Today!" "Large 1 level newer home perched high with great views in Rice Addition. Originally built as an adult foster care home but would make a wonderful home. 6 bedrooms, 3 full baths and 2 half baths." "CLASSIC NORTH HILL HOME. You have loved it for years - now YOU can own it. 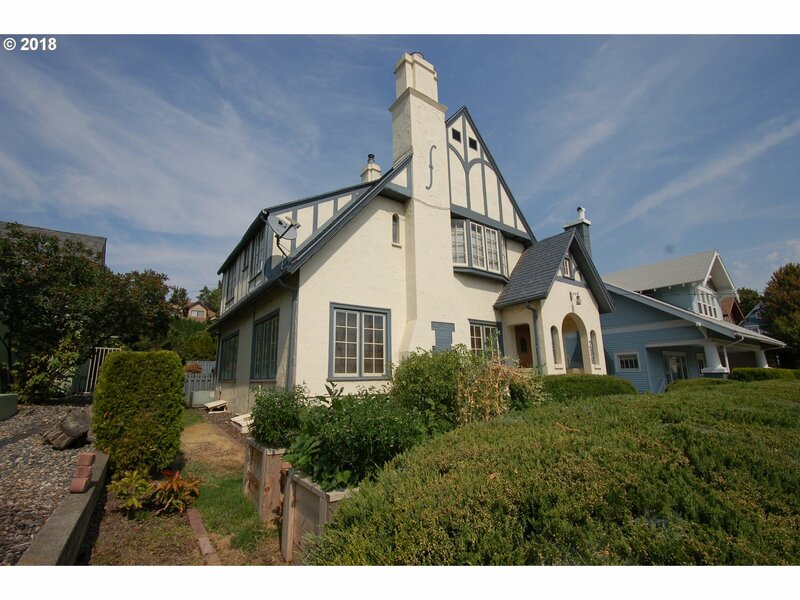 This 2550 sf(m/l), 2 bed, possible 3rd bedroom or den/office, 2.5 bath home has style, charm and character galore. Original woodwork, historical updates to the kitchen, fenced landscaped back yard and full basement and easy walking distance to Main Street makes this a highly desirable home. Do not miss out on this chance to own this one of a kind home." 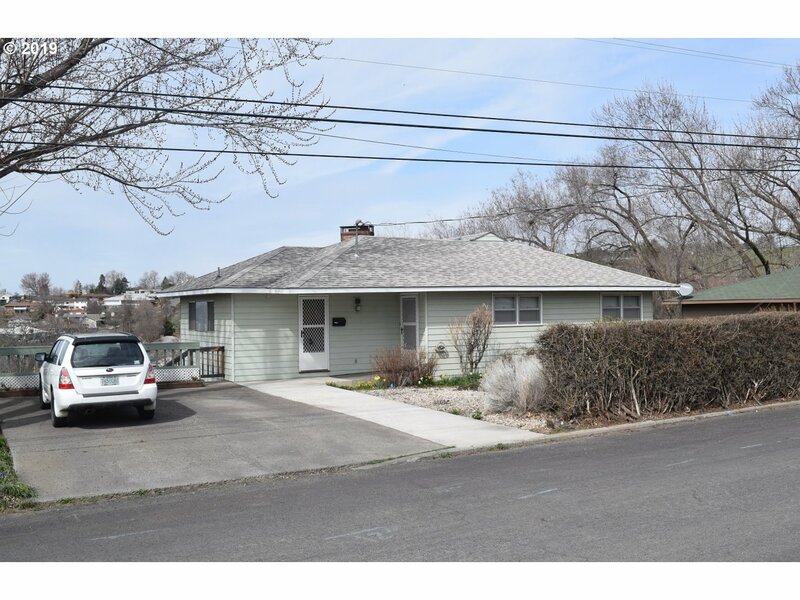 "3 bedroom, 2 bath, 1604 sf(m/l) 1 level home on quiet cul-de-sac. New interior paint, new carpet, new dishwasher, new microwave. Large pantry, open kitchen, family room, utility. Tool shed, yard partially fenced."